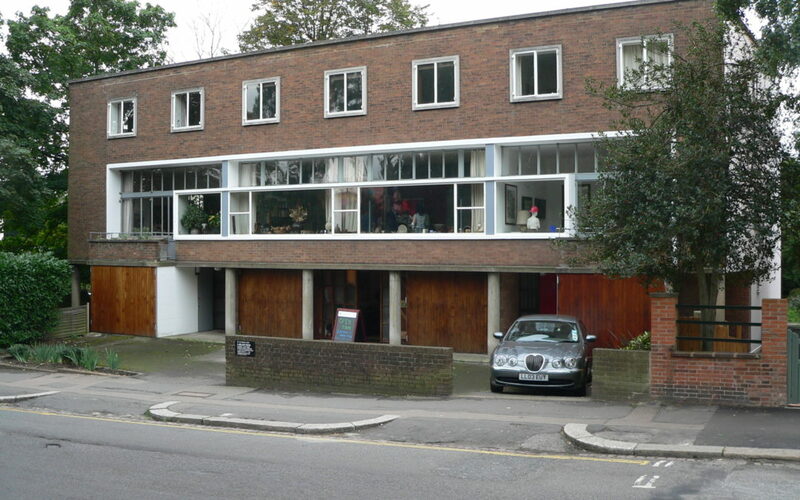 Number two Willow Road is the central apartment in a row of three – built in the late thirties and designed by Ernő Goldfinger. Goldfinger was a well-known designer and architect – he was originally from Budapest but made his home in London for many years – in this very apartment. Today the apartment is owned by the National Trust and as such, is open to the public. The rooms remain in the same condition as they would have been when the building was originally created and is a step back in time. Much of the furniture was designed by Goldfinger himself and there are pieces (and artwork) by other greats of the day. The video below will give you some idea. And here’s a story for you. I’m not going to maintain that it’s 100% true but I like it anyway. Apparently, when Goldfinger was planning to build the three apartments, several local residents objected – the modern style wasn’t their cup of tea. Evidently one of those people was Ian Fleming, the author and creator of the James Bond series of novels. It’s a matter of record that Fleming used names of people he had met in his novels and it’s often authoritatively declared that Fleming used the architect’s name for one of his arch-villains. It’s known that the architect threatened to sue Fleming because of the use of his name but the matter was settled out of court.